Geomarine successfully tendered the repair work on Elizabeth Castle’s L’Hermitage Breakwater. The works involved: surveying the Western face of the L’Hermitage breakwater; repairing identified areas from the survey, which could be below the high water line; and installation of stainless steel reinforcement with hand-placing of a specialist repair mortars, to give a surface finish matching the existing granite face. L’Hermitage is a challenging site location with complex safety and environmental risks. Access to the site was limited, as vehicles could only make their way out on spring-tidal ranges with a short window of access and, as the project was carried out in October/November, a vital element of the project was monitoring the wind and weather conditions. Geomarine’s own workboat was employed for daily access, from the Victoria Pier to the small harbour at Elizabeth Castle on high tides or the steps at the Southern end of the breakwater on low tides. All operations were carried out by our directly employed rope-access operatives, who initially carried out the survey before carrying out repairs on 27 areas of varying sizes. 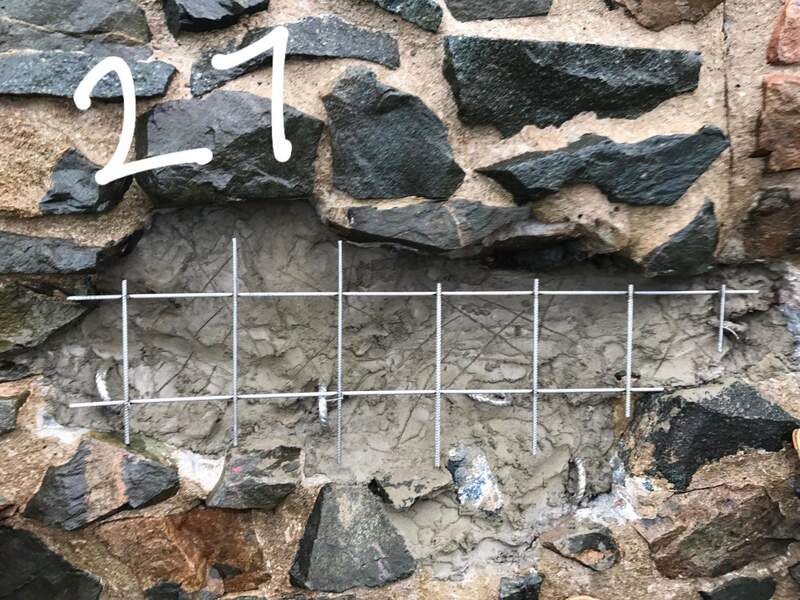 Photographic records were taken at each stage of the process (pre-breakout, breakout, rebar and finish) in line with our agreed contract with GHE and all works were completed on schedule despite the challenging environment. Due to the success of the project we have secured further work at Elizabeth Castle, scheduled to take place in the spring of 2019, which is anticipated to be similar programme on another area of around the same size as the work completed to date.